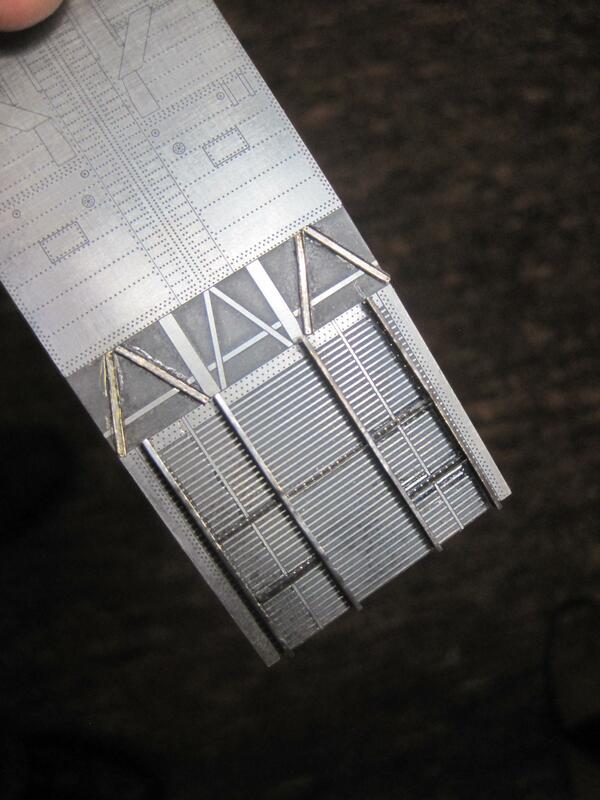 I've run into a problem constructing my B-24H model. Eduard makes a very nice PE set for the bomb bay, however the area OVER the bomb bay and the construction of the bulkhead and radio storage area over the wings is something that I'm not finding much information on. There's a decent view looking forward at the radios in the flight manual, but I'm looking for more information on how that platform and the roof of the bomb bay are constructed. I've been to the Willow Run facility and they have some drawings and a tail section they are reconstructing, however this stops JUST short of the area I'm interested in. Anyone have any good photos or drawings? Tom - Try reaching out to the Collings Foundation - I'm sure they maintain a website for their fleet of airworthy aircraft which includes a B 24. If there are no photos of what you need I bet someone would take pictures for you. I believe they are based in Massachusetts. Thanks, Richard. I'll reach out to them and see what I can find. I failed to get any photos of the bomb bat ceiling but starting at image 26, there are some bomb bay pix. Otherwise, I shot Colling's B-24 nose to tail. These are fabulous. I've seen a couple of them but several others are quite helpful and will allow me to fill in a couple of spots I hadn't gotten quite right. I especially appreciate numbers 5,6,16,21,23,30,38,45 and 46. I had TOTALLY guessed on the location and external construction of the trailing antenna and it appears other than perhaps making the weight a little to small, I got it right. Several of the others point out some additional floor work in the waist gun compartment I need to do. Unfortunately as you said there are no ceiling shots in the bomb bay and number 36 appears to be the area in particular I need to know what's going on and it appears they are using the overhead compartment for storage and you can't get a good view of the construction. These are MOST helpful and I'll call them to see if I can get some further info. I've started to think that I'm reasonably close to figuring out the construction details on the roof of the bomb bay and the radio storage compartment just above it behind the wings. But I'm looking for some help. I've reached out to several museums as well as the one at Willow Run which is actually only about 6 miles away from my house, but still don't have a sure answer. 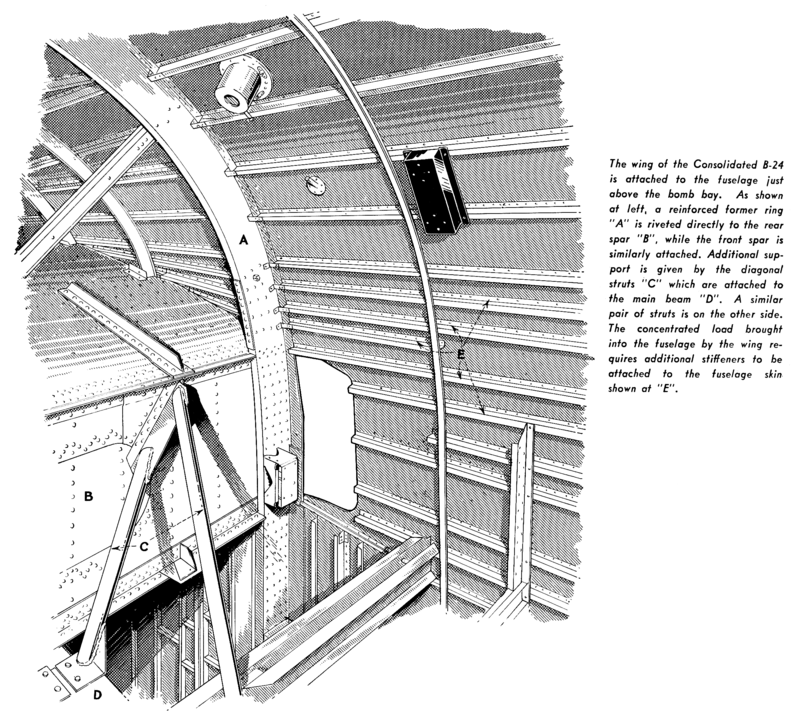 I've attached a photo of the Eduard PE bomb bay roof. There's a shaded darker section in the middle which connects the front portion to the back, and I'm now beginning to believe that rather than being solid as in the PE, this area is actually open and the trusses connect the rear section to the front. Is there anyone who can confirm that this area in the bomb bay ceiling is in fact open to the area above and has some photos of the "former ring" which goes around the inside of the fuselage and the rear "spar" of the wings in this area?? The attached image shows the area I'm talking about but doesn't show enough of the area to construct it. Thanks, H.P. I can always count on your having helpful photos! I was actually able (for a while anyway) to have one of the conservators at the Canada Air and Space Museum take a ton of interior photos, but now for some reason he's been "reassigned" and the B-24 is "no longer available" for interior photos. I pretty much have what I need (figuring out WHAT to build is another question entirely), with the exception of the Fuel Distribution Panel, which (at least in models up through the -D) was located in the over bomb bay compartment and had lines from all four "interior" fuel tanks (1&2 L and 1&2 R) connected to it. It seems like later models had the fuel system "re-plumbed" which makes figuring out what to put in a Ford built -H a bit problematic. I DID however get a few installation drawings yesterday from Willow Run, and if they can find one more which is referenced in one of the ones they sent me, I should have my answer. Hope I "like" it. Thanks again for the additional photos! !